Savor Portuguese cuisine that will combine many elements of culinary traditions. This restaurant has good stuffed crab, oysters and fish soup listed on the menu. Most guests recommend trying tasty gâteau, ice cream and chocolate mousse. Don't miss the opportunity to try delicious wine, Sangria or white wine. Great cortado is served at Azenhas do Mar. The cosy atmosphere of this place makes guests feel relaxed and have a good time. Most reviewers consider the staff creative. Service at this spot is something one can call fast. You will like attractive prices. It is noteworthy that decor is fine. This restaurant began attracting its visitors due to the Zomato rating of 4.5. 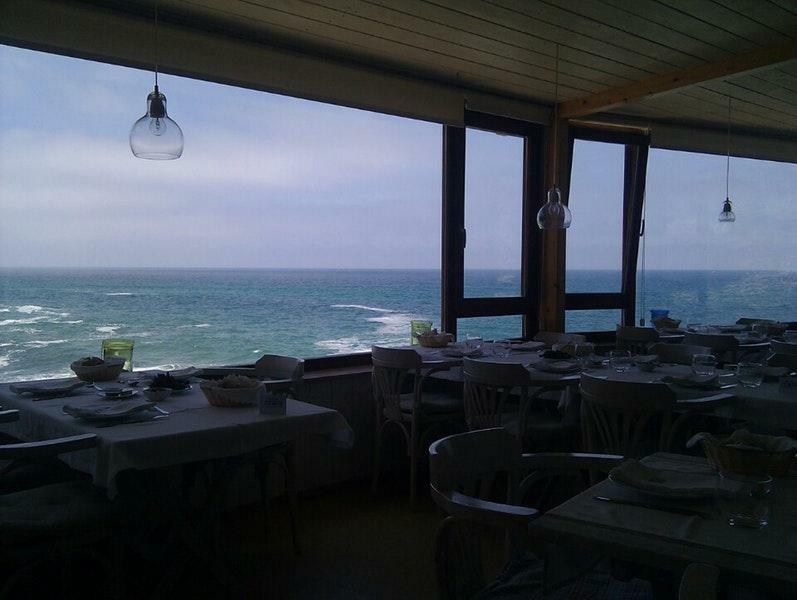 We were visiting the sites along the coast of Portugal when we discovered Azenhas do Mar. The location could not be more fantastic as it's right on the Atlantic coast with breathtaking views. We did not have reservations but after less than a minute our family of four was seated at a table next to window with a view of the ocean. The menu is a little on the expensive side, but the food was delicious. My wife and I ordered the Lobster and Shrimp Risotto and our children had the steak. The service was very friendly and quick. I strongly suggest stopping by if you're in the area as they have an excellent selection of fresh seafood. We had a great time! Perfect fresh delicious fish. Try the tuna steak. Unbelievable good.